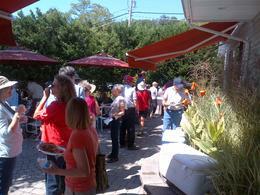 The Perennial Farm leads the way in educational seminars. We have also developed a library of Powerpoint presentations, brochures and educational tools. We can make these available for your own “in-house training” or work with you to attract and educate your customers. 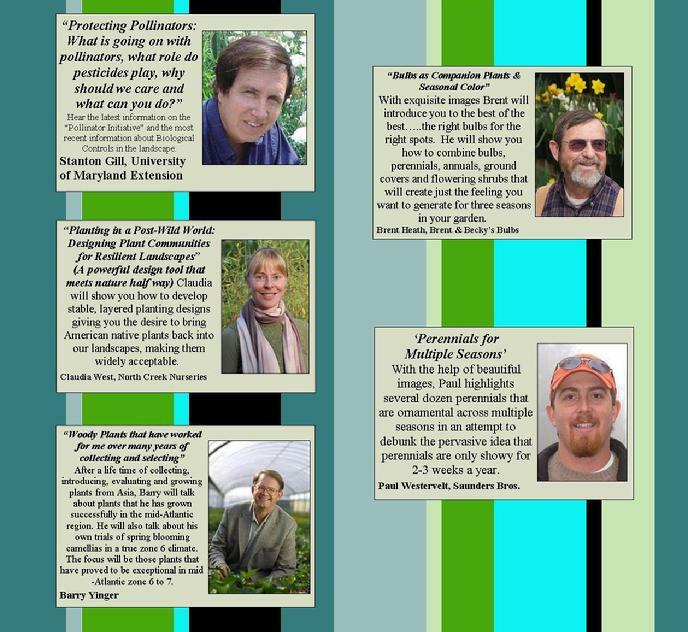 The Perennial Farm staff of horticultural professionals are always available to help in advancing peoples plant knowledge. Recent research on the “landscape services consumer” has revealed several keys to success that still have not been widely embraced by the green industry. Many of these consumers prefer to purchase landscape services from their trusted garden center rather than from a “landscape contractor” with which they have no trust. Most garden centers are good at cash and carry retailing and most landscape operations are good at working with the “do it for me” design/build customer, but very few companies have the systems and service culture to allow a customer to seamlessly “migrate” between the “retail” and “service” model or how to make a profit on the “mini-landscapes”. Hear from the Plant and Marketing Geek how he brings The Awesome, EVERY DAY to his business and his customers. 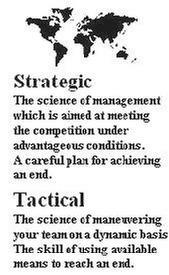 In this competitive market you need to be exceptional and stand out from all the others. Learn to Be Awesome! “Edible Landscapes”offer your customers a multi-purpose landscape. Big crape myrtles, little crape myrtles, red crape myrtles, purple crape myrtles, single-stem crape myrtles - Mike is to crape myrtles what Bubba is to shrimp. Mike grows more than 20 varieties of crape myrtles at Worthington Farms, near Greenville, NC. 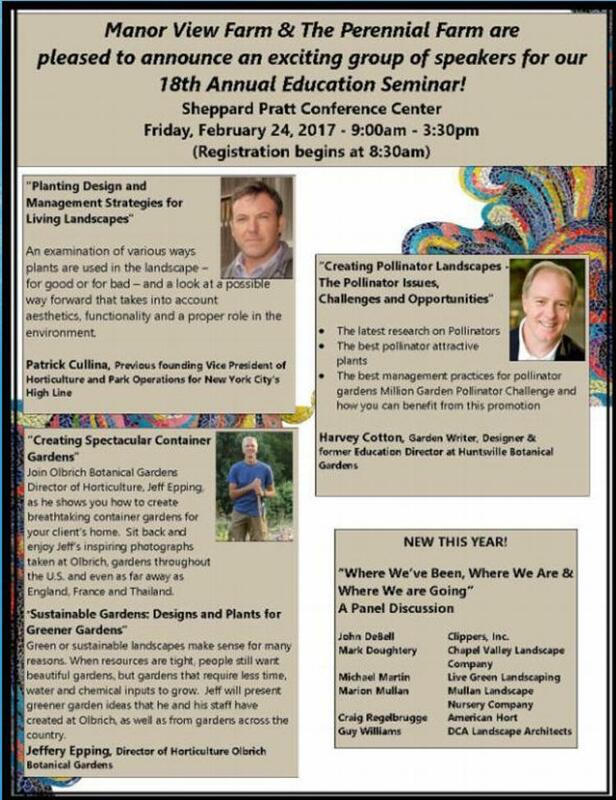 He will share his practical experience on cultivar characteristics and performance in the landscape. Need more excitement about plants? Then this talk is for you. Mark will show some of the plants that get him really excited right now, some of these are currently available, some are not yet available and some are just so weird that only a true plant nut would love. So come and get excited… again! Glen Arm, MD - March 10, 2012 - Dr. Allan Armitage visits the Perennial for filming of a series of videos which will be part of The Perennial Farms new Treadwell tag initiative. * 1st in the industry to offer QR technology on our tags. 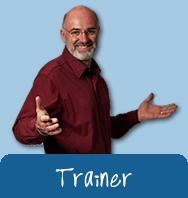 Dr. Allan Armitage - is well known as a writer, speaker and researcher throughout the world. As a teacher and speaker, Dr. Armitage has been invited to lecture in Canada, South America, New Zealand, Australia and many countries in Europe - he is in constant demand. He has studied annuals, perennials, cut flowers and greenhouse crops internationally, and his plant introductions and research in the Trial gardens at UGA are well known throughout the world. He continues to be of the most positive influences in American horticulture and willingly shares his expertise with everyone in our business. As the economy starts to rebound, be one of the leaders in the industry who is investing their time to take full advantage of the �new business climate�. Join us for a day of education, entertainment and networking. An exciting and informative look at what it takes to make or break your business. Explore the world of tropicals, summer color, perennials, trees and shrubs. Learn what�s new, what�s tried and tested and take a look at interesting color combinations. 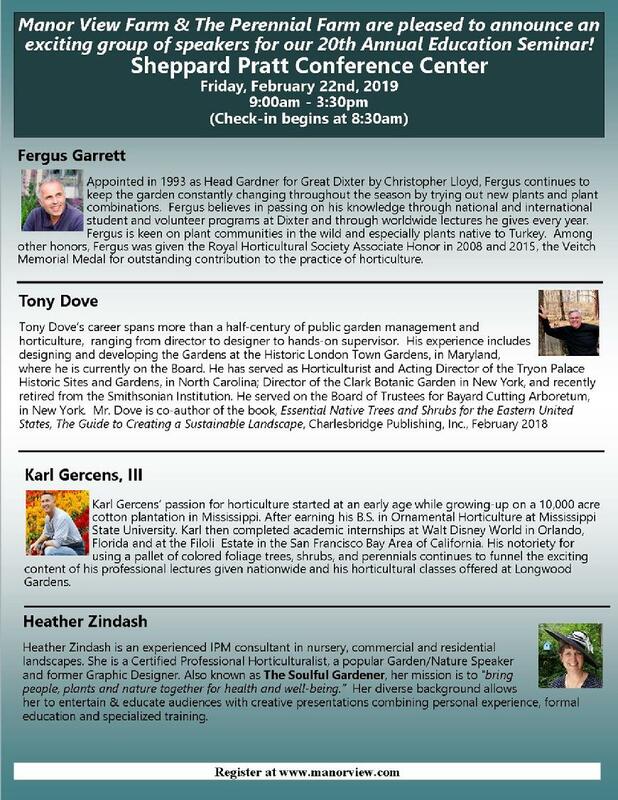 Chris� enthusiasm for plants guarantees you�ll experience a variety of �thrills and chills� during this fast paced lecture. Chris� spectacular photography will have you on the edge of your seats. �GOOSEBUMPS� are guaranteed! �Drift� Roses�� �and you thought Knockout Roses were good�. Hear direct from the company that introduced the world to Knockout Roses and how Drift� Roses are the hot new rose for gardeners..
Have you ever wondered who our plants were named after and why? Dr. Allan Armitage will entertain us with stories of unique plants and intriguing people, places and discoveries that led to their naming. Garden history comes alive as Allan puts faces with the names of American legends. Discussion on criteria used in determining what is truly considered a native perennial and why. When did we start caring? Native, Cultivar, Naturalized? If you�re going to spend the money you might as well get the best plants available Practical uses for plants in today�s demanding landscapes and gardens. Plants can be a big investment especially for adventurous gardeners and landscapers, thus the need to discuss the good and the bad in the plant world. 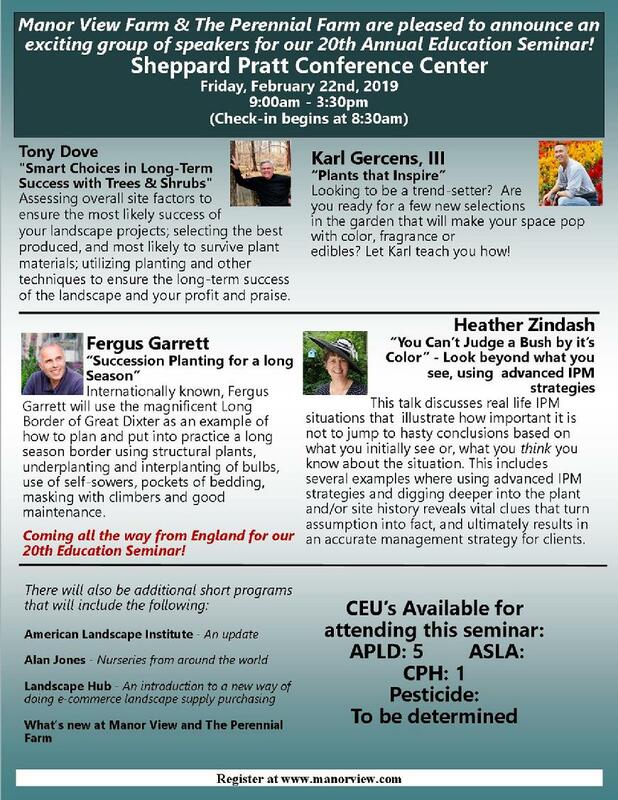 Dr. Armitage will talk about perennials and especially native perennials that perform well in the Mid-Atlantic and New England Regions. Dr. Armitage discusses the best reference material available, examples and stories on the best reference material for your native gardening enjoyment. How do we get the most out of our gardening experience. Jason Veil (Manor View Farms) �Natives� can be woody plants too. Native Perennials - The best ones that are commercially available and why? Well, we did it. The dancing is over, it was a blast. I want to let you know that the entire adventure raised $93,000 for Project Safe. I was third highest vote getter, raising over $6,000.00. Thank you, for all your help. I know you are anxious to see if I fell on my keister, but I did not. Here is the YouTube video link (http://www.youtube.com/user/DancingAthensStars10#p/u/2/OB8uxSYP3HM). Suffice it to say that if you need an example of challenging someone to move out of their comfort zone, you may use me. Pick up a newspaper or turn on the TV and the news is depressing. It doesn�t have to be that way. In every crisis there are always opportunities, but those opportunities rely on you making correct, positive choices for your business. Your first choice is to attend this insightful educational seminar. 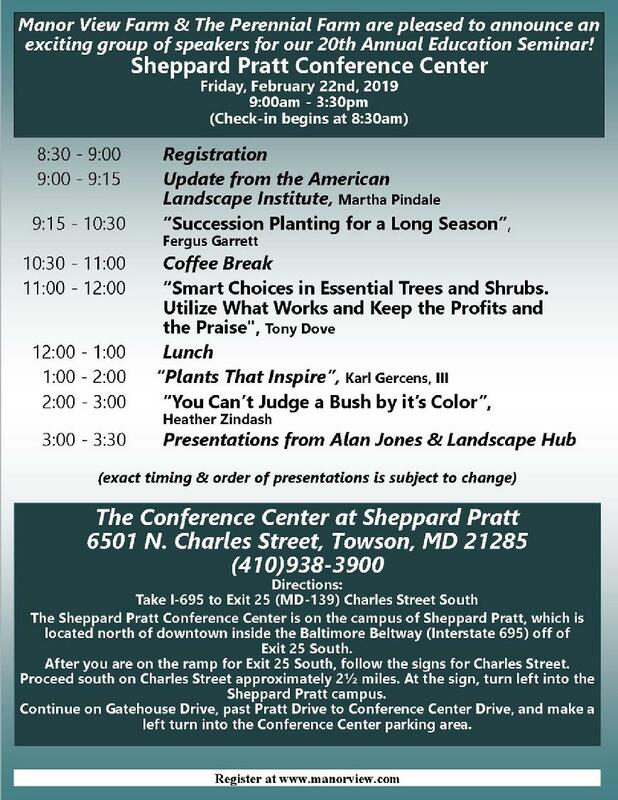 This year the subject is �Weathering the Storm�, an educational seminar on what steps you should take to help your business grow and prosper in a tough economic climate. 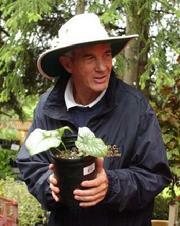 The presenter, John Stanley, is recognized as one of the top educators in horticulture. Over the past few years, John has worked with horticultural businesses in 26 countries. He possesses a global perspective of our industry and the dynamics facing us today. John has been working with companies in The United States since 1976, and he has helped many clients navigate through times of market flux and uncertainty. 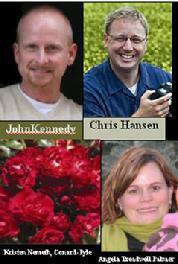 John will discuss new marketing strategies for 2009, which he has recently developed. He believes that initiatives which may have worked in 2008 need to be drastically revised to be effective in 2009. Here is the challenge �how do we sort out what we should be doing more of and what we should be doing less of. John provides timely examples and solutions from the green industry, as well as other industries from the United States and around the world. Don�t come expecting to agree with everything John says. He will challenge you and get you thinking. "Competing in an ever changing business environment"
Promoting yourself as the cheapest will put you out of business fast! If you're a dog sled team, which dog has the best view? What are all the other dogs looking at? 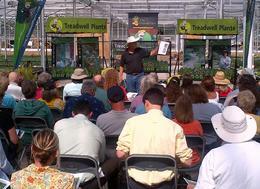 Each year The Perennial Farm, and our staff of professionals, conduct training seminars at key customer locations. Training sessions can be customized for specific needs. We conducted over a dozen such seminars during 2009 alone. Please contact Ed Kiley (443-528-8000) if you have an interest or specific educational needs that we can assist you with. At The Perennial Farm, we're more than your supplier, we're you business partner!